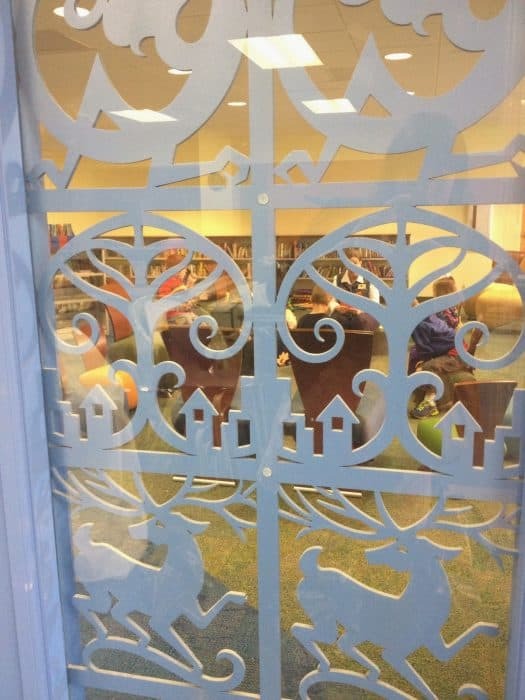 I recently went on a behind the scenes tour at the Kenton County Library – Covington Branch. 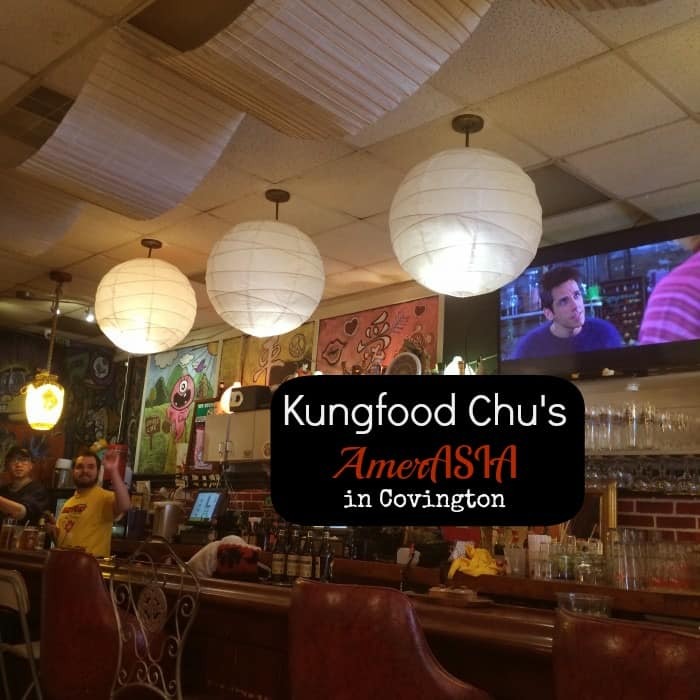 They have been working on a $12 Million renovation and expansion project that is better serving the needs and request of its patrons. As you walk into the library, you will see a statue of Abraham Lincoln without a beard. 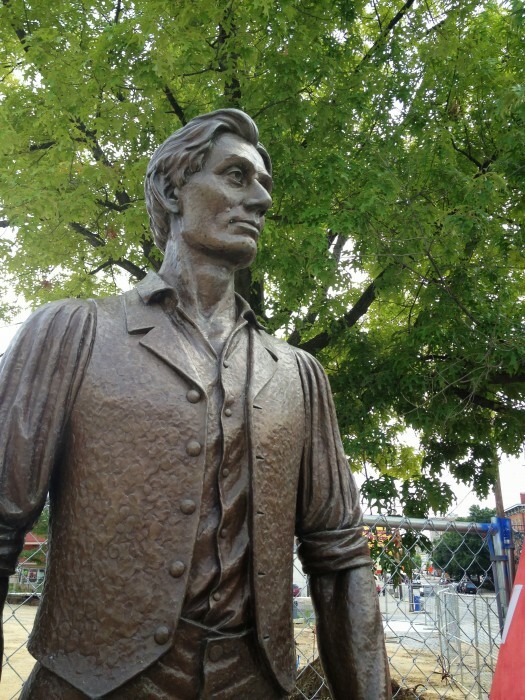 There are only two known statues of Abe Lincoln without a beard and they both happen to be in the Cincinnati area. There is one in Covington and there is another statue which happens to be across the river at Lytle Park in Cincinnati, Ohio. 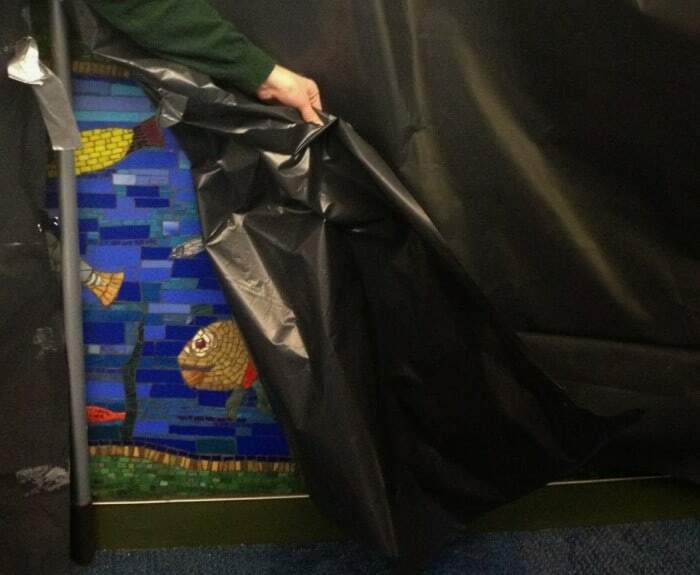 The first area that we toured was the Children’s area which has been relocated to the lower level. 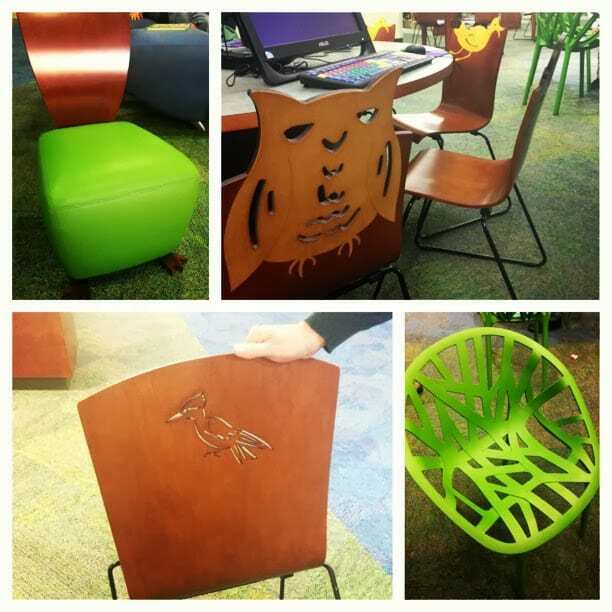 There are new chairs that are decorated in the departments new nature theme. 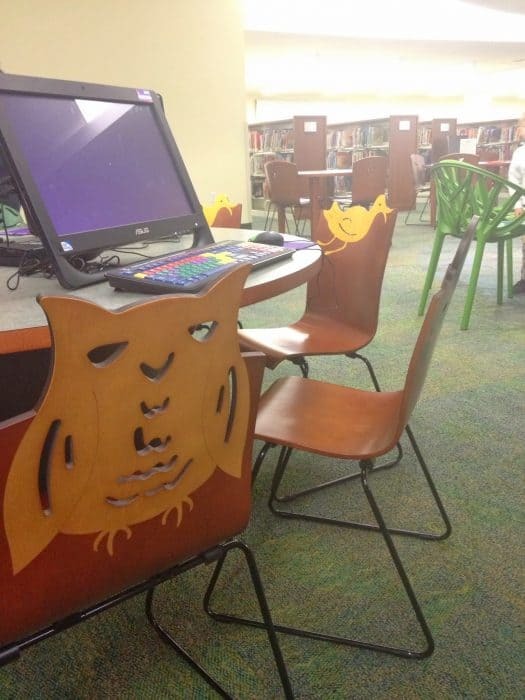 There are computer learning stations for kids to use and lots of areas to sit down and read or hear a story. There is also an area where kids will be able to work on special craft projects. 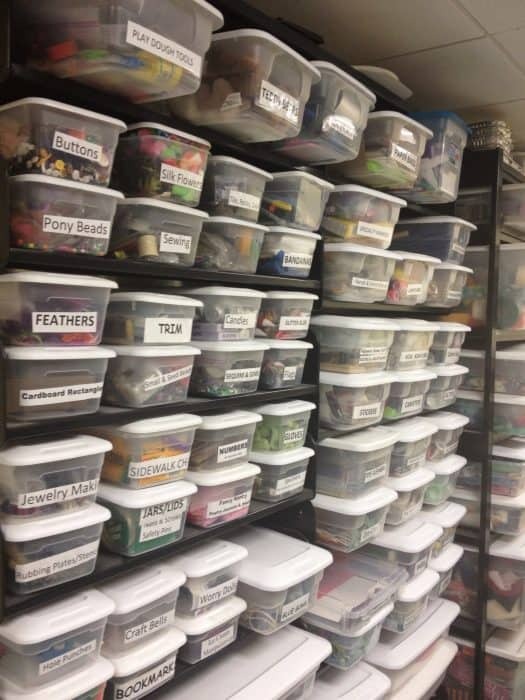 I wish my craft supplies were this organized! 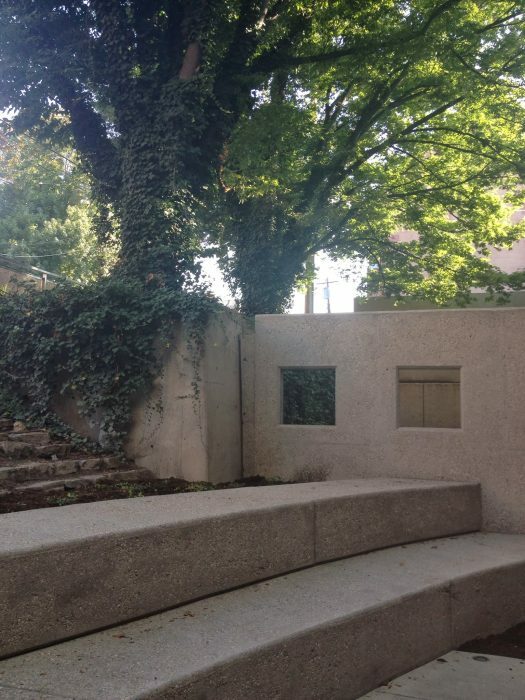 There is also an outdoor seating area with a nice combination of sun and shade. 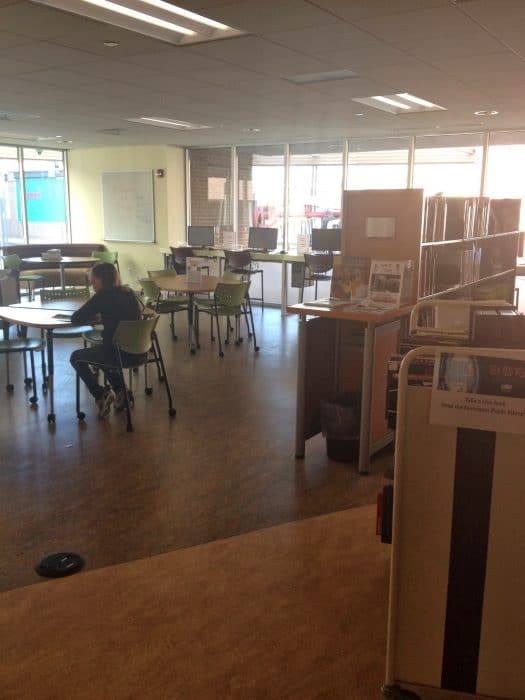 The library has also made a lot of improvements that are energy efficient. 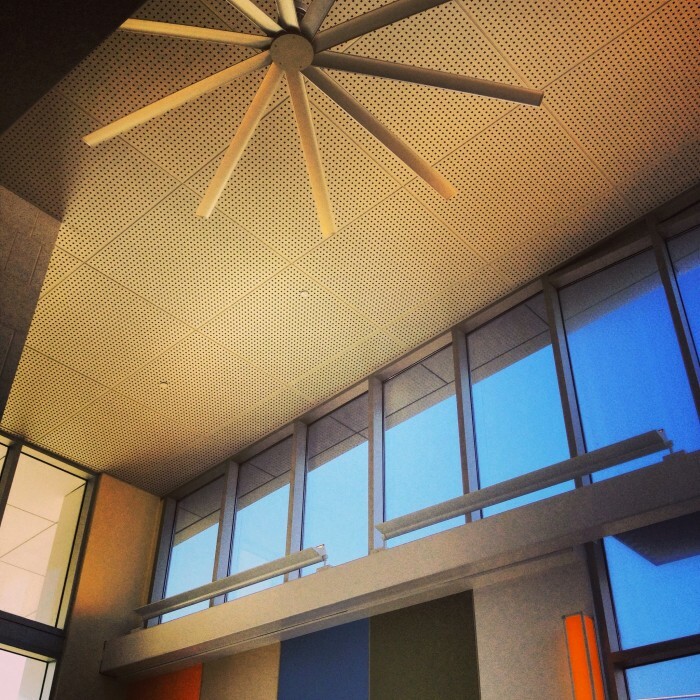 The large ceiling fan pulls air from the lower part of the building to the upper levels. The windows and heating and cooling systems have been updated to more efficient systems. The lighting on the main floor responds to sensors that increase lighting at night and lower lighting during the day. There is also a section that can later be created into a green roof. This library also has one of the largest public collections of local history and genealogy in Kentucky. 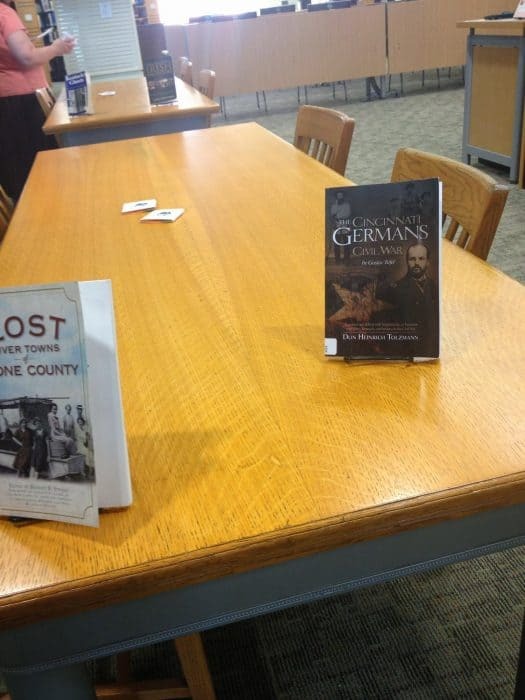 These tables were originally used in the Covington Carnegie Library and have been refinished to be used in the Genealogy Reading Room. 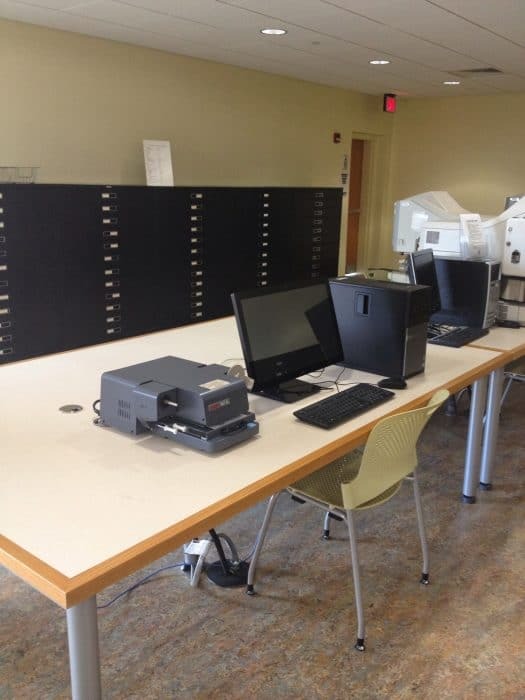 The upper level has an area where you can scan pictures and dig more into your family history. 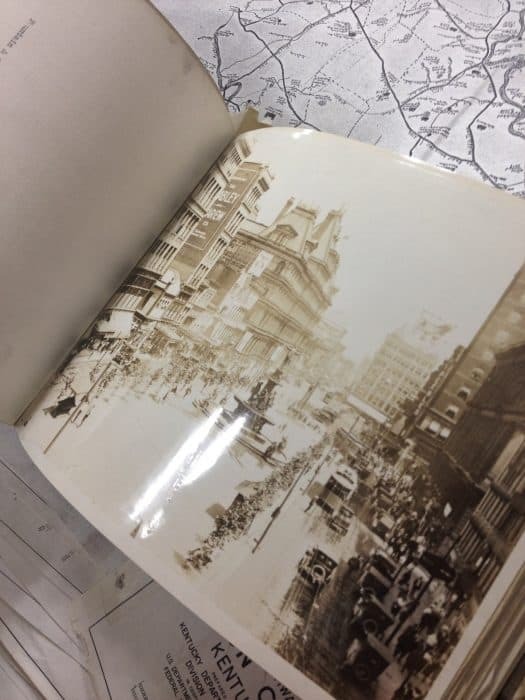 There is an incredible collection of older photographs and an archive room that is temperature controlled to preserve historic items and documents. 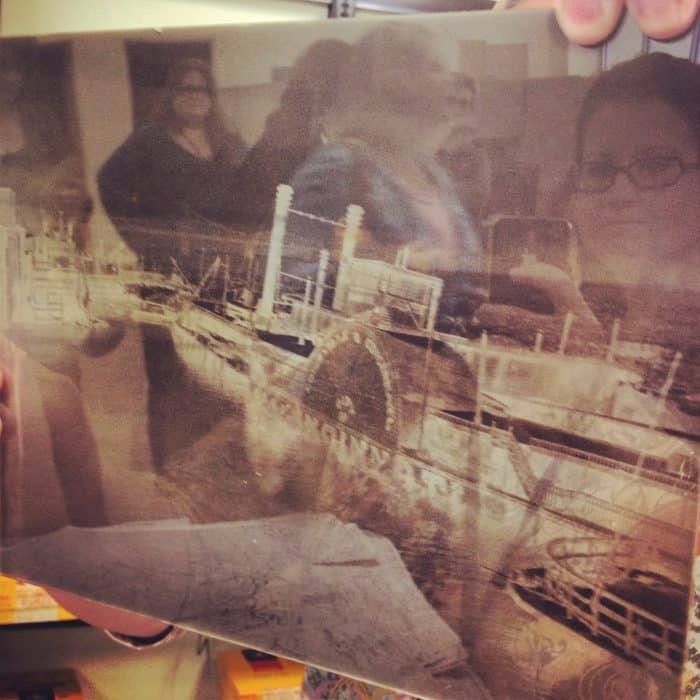 Below is an 8 X 10 photo on glass that is from the period 1910-1920. 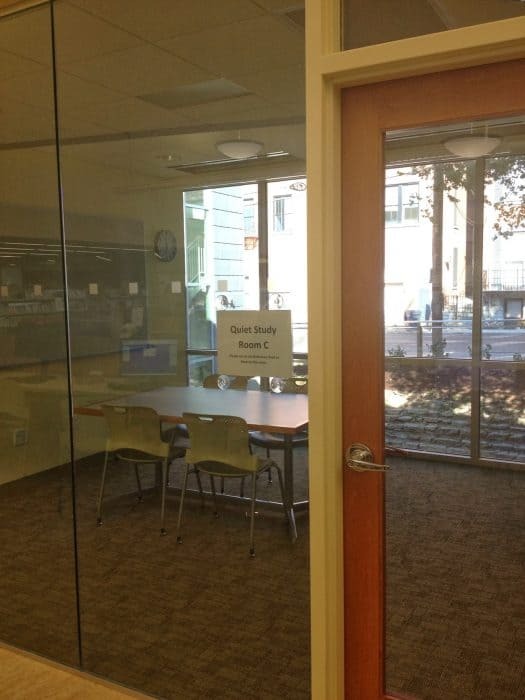 The library also has a special room just for teens. 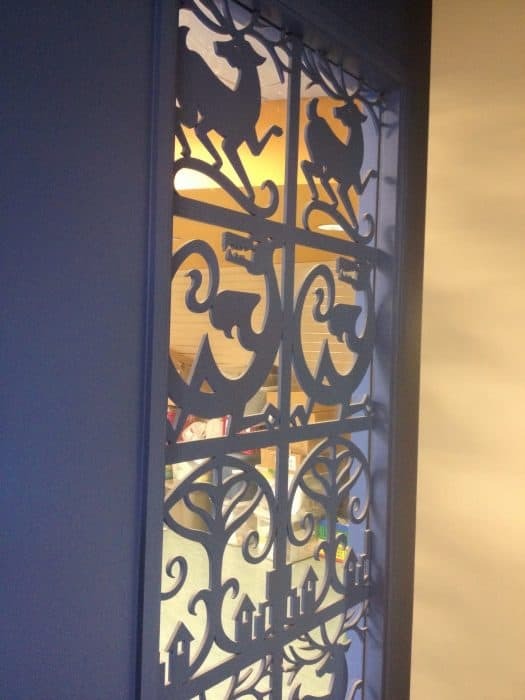 The doors can shut which can allow for more socializing and programing. 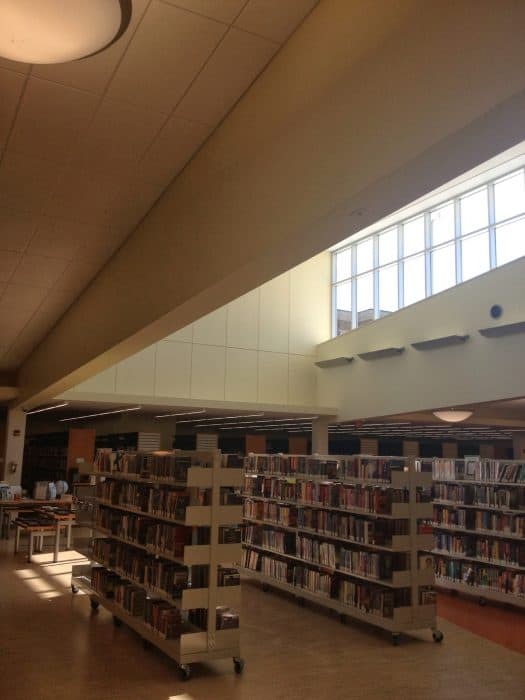 The renovations at the library have also tripled the natural lighting space which creates a cheerier environment. There are also now 9 meeting spaces available for the public to reserve for use and whole building has WIFI. The library now offers a drive thru which was sponsored in part by Toyota which makes dropping off books even more convenient. We also learned about the Homebound program that brings books to residents who are unable to get to the library. 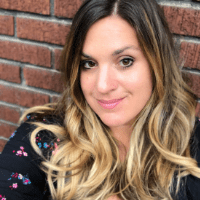 This is a great service to reach out to those in the community and their caregivers who still love to read but are restricted in their mobility. 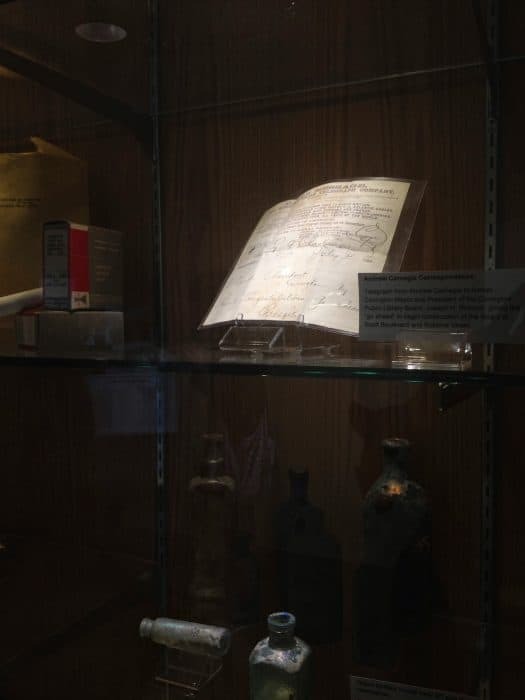 Make sure you stop by the library to see for yourself! on Saturday, October 26th for its Renovation Celebration. There will be a ribbon cutting at 9:30, visit from the Cincinnati Zoo at 10:30 and other activities throughout the day.